"Three men build a Utopian future, but what is their paradise made from?" 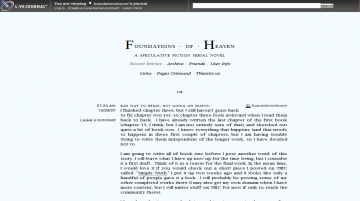 Foundations of Heaven by M. W. Wilson AKA Mouselord is a sci-fi novel updated weekly. Foundations of Heaven has not been reviewed yet. Foundations of Heaven has not been recommended yet.